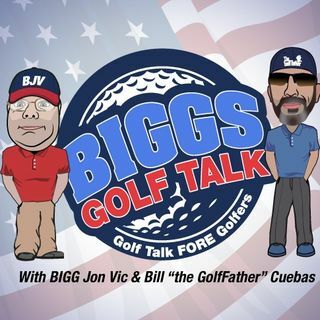 Bigg Jon Vic and the "Golf Father" Bill Cuebas kick off the show announcing the February Giveaway Winners and releasing the Prizes for March. The "Golf Diva" Amanda Robertson hosts her "On Par With Amanda" segment and responds to messages from you about her segment last week talking about Sergio Garcia. This week, she discusses "Backstopping"
The Golf Life Report interviews BGT Crew at the PGA Show. GUESTS: Scars and Stripes Coffee discusses improvements, upgrades, and structure for the veterans in the program. Jenn Holt discusses her career, other golf topics, and her NEW book "Two Little Golfers"